If we want our children to be active and love the outside, we need to make outside a family priority. It is no secret that there has been a massive decline in outdoor play in Australia. Planet Ark confirmed this when, in March 2011, they commissioned an independent study to investigate childhood interaction with nature and how this interaction is changing. The research was conducted by Pollinate, a specialist communications research company and found that there has been a dramatic shift in childhood activity from outdoor play to indoor activity in the space of one generation. 73% of respondents played outdoors more often than indoors when they were young compared to only 13% of their children. 72% of respondents played outside every day as kids compared to only 35% of their children. 1 in 10 children today play outside once a week or less. 73% of respondents said they played on the street when they were young compared to only 24% of their kids. 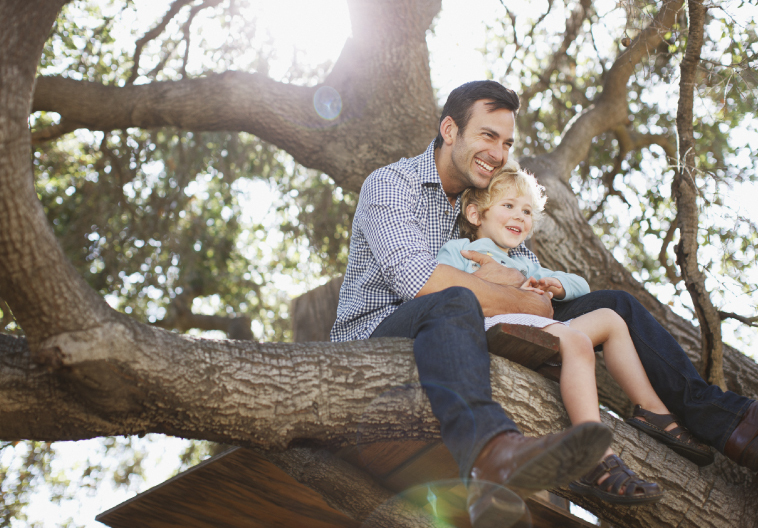 64% of respondents said they climbed trees as kids but less than 20% of their children participate in this activity. At Watagan Park we don’t want these kinds of statistics for our community. We want parents to give their children the kind of childhood they had, kids playing safely on the streets, climbing trees, exploring nature, getting dirty and having fun. We believe kids want to get outside and if each family decides ‘outside’ is going to be a priority, then as a community we can reverse the above statistics for Watagan Park. Getting your children more involved with nature is easier than you might think. Here are some tips for making outside a priority for your family. Build a veggie garden in your backyard. Not only will your children be outside learning how to plant and care for vegetables…. You’ll know that they are eating healthy too. Put a bird bath / feeder in your backyard and watch the birds as they feed. You can discuss what birds they are, how they live and then head out into the Watagan Mountains and see if you can find them in their natural habitat. Make the first Sunday of each month “hiking day” and you pack a picnic and head up to one of the many different walking trails in the Watagan Mountains with the family. Go camping in the backyard. Super fun and the good thing is if you need the toilet it is only a few steps away. Go for evening walks as a family after dinner around Watagan Park. Not only is it a good way to walk off dinner but it also gives you the opportunity to stay connected with your neighbours.